Bromford has signed a deal with Graven Hill Village Development Company to deliver the first phase of affordable housing at what is set to become the UK’s largest self-build community. After being selected through a competitive tender process, the West Midlands-based housing association has become a partner at the innovative development in Bicester, which has planning consent for up to 1,900 homes. Bromford, which has 28,271 homes across its central England operating area, will take ownership of 59 new homes in the next financial year — comprising 27 for affordable rent and 32 for shared ownership. 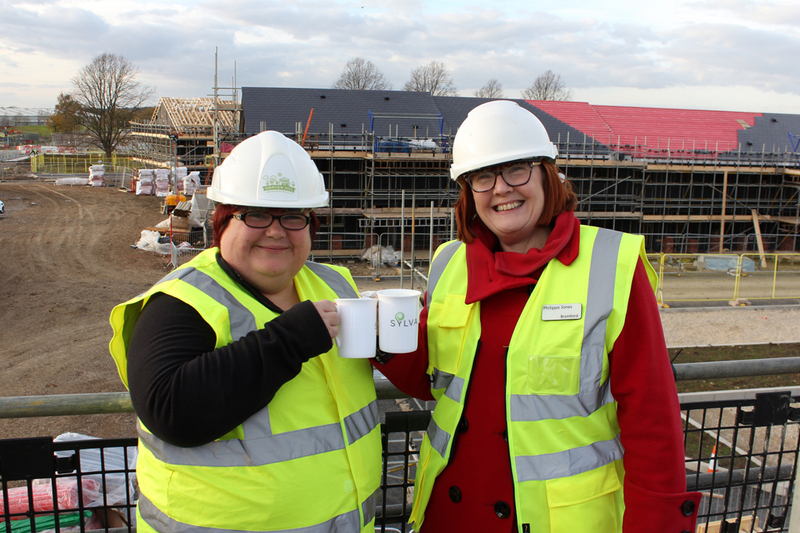 Philippa Jones, Bromford’s Chief Executive (pictured above, right), said: “We’re really excited to be working with Graven Hill on what is a truly pioneering development for Britain’s housebuilding sector and one which will act as a trailblazer for a new way of delivering customised homes and empowering communities. The former Ministry of Defence (MOD) site will eventually form a new village stretching across 462 acres — an area the size of 300 football fields. 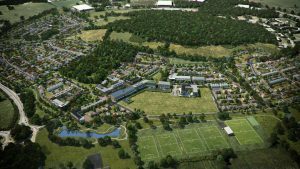 It is being delivered in phases over a 10-year period and also includes an extra care scheme, primary school with nursery unit, a village green, sports pitches, eight play areas, business premises and a local retail centre with a pub, cafe, shops, and community centre. Run by the Graven Hill Village Development Company, the self-build concept will provide a number of options for people to buy into — from kit homes purchased off the shelf, to group/community self-build opportunities, through to custom build where the customer has an element of influence over the house design but employs a contractor to build it.